Dale was a three time Team MVP on the Hockey Team during his time at Normandy High School. Dale also earned the League MVP award in the Greater Cleveland High School Hockey League. He was a two time All Scholastic Team Member in the Greater Cleveland High School Hockey League. As an upper classmen, Dale served as an Alternative Captain. Dale received multiple individual honors during his playing time at Normandy. 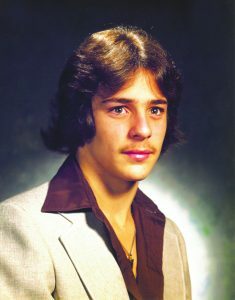 In the 1979–80 season, he was selected as the Parma Heights Tournament MVP, Normandy’s Team MVP, and was First Team All-Conference as a forward. For the 1980-81 season, Dale received five different honors. He was the MVP of the Parma Heights Tournament, Team MVP at forward, All Scholastic for the Greater Cleveland High School Hockey League, as well as MVP Forward from the Press Star and the LEL Player of the Year. For the 1981-82 season, Dale was the Team MVP, All-Conference as a forward, and earned All Scholastic Team Honors. Dale set school records for most goals scored, most assists, and most total points. Dale resides in Northeast Ohio and is the owner/president of Kimpton Printing & Specialties Company.